This post is sponsored by Campbell Soup Company. Opinions are my own. Spring is here and I am so excited for our upcoming Easter dinner. We always have ham on Easter and each year I find myself wondering what to do with the leftover meat. 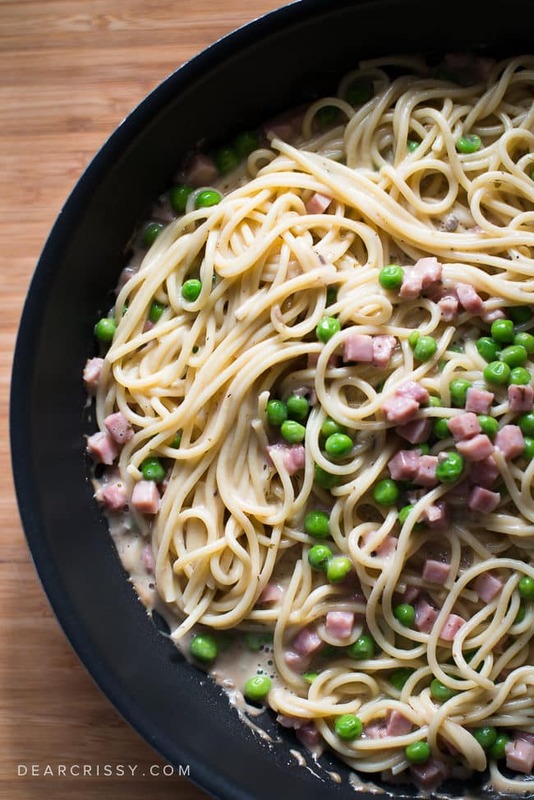 This year I’ll be making a tasty pasta with ham and peas with our leftover Easter ham! 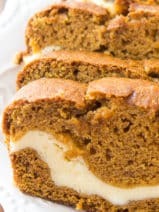 This recipe is incredibly easy thanks to Campbell’s Soups For Easy Cooking. I used the delicious Savory Portobello Mushroom flavor for this dish. 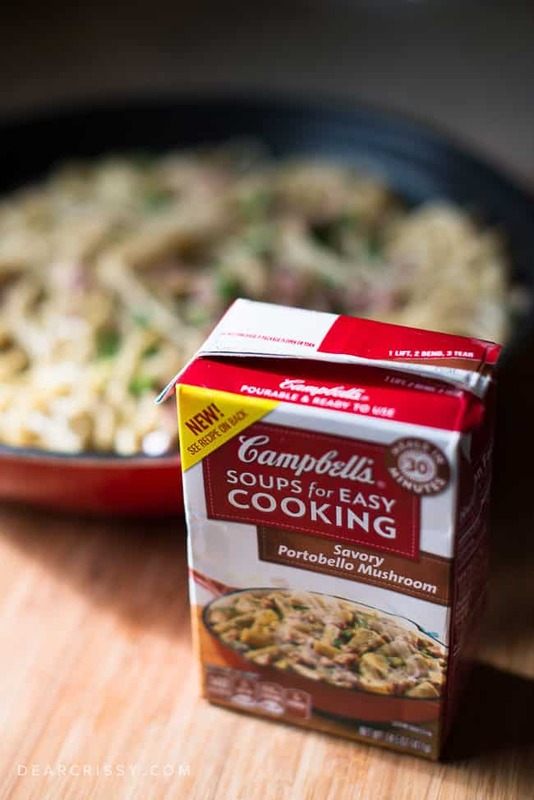 In case you haven’t heard, Campbell’s Soups For Easy Cooking are the next generation of the iconic Campbell’s Cream of Mushroom and Cream of Chicken soups. Some of my favorite family recipes include classic Campbell’s® soups, so I was eager to try this new product. This product is unique because it’s pourable and ready-to-use. 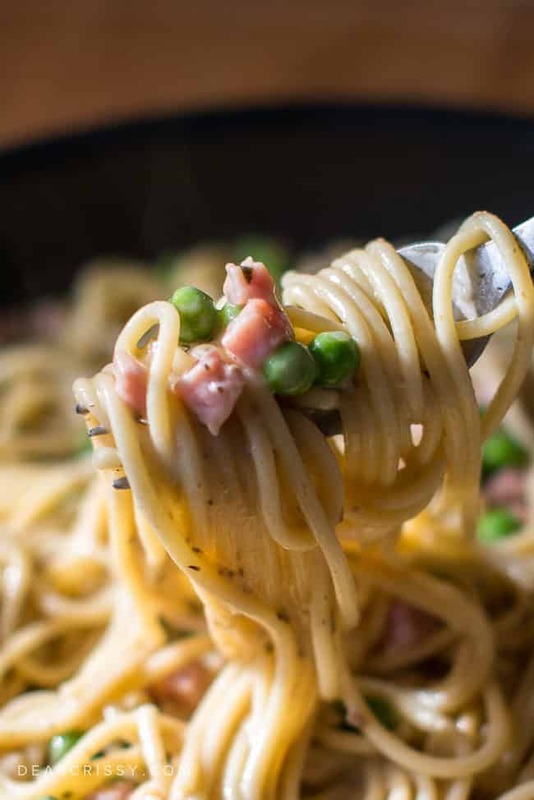 Because it’s already seasoned to perfection it’s a great way to whip-up a quick weeknight dinner with very little effort. 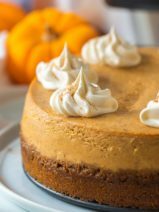 As a busy mother and business owner, there are nights when I feel tempted to turn to fast food. I don’t have time for complicated dishes, so the options new Campbell’s Soups For Easy Cooking provide are priceless. Plus, it warms my heart to know that I’m warming the bellies of my family with a home cooked meal. It’s a feeling that can’t be beat. I’ve tried them all, they’re so good! 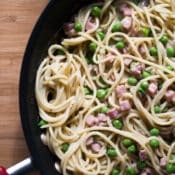 If you’re looking for a creative and easy way to use those Easter leftovers I highly recommend this simple and savory pasta with ham and peas. It’s certainly a winner with my crew. 1. 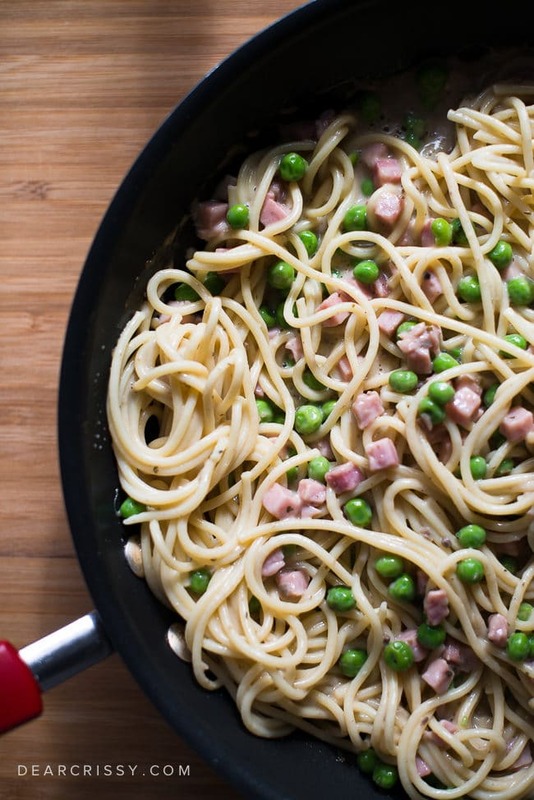 Heat the soup, ham, peas and cheese in a 12-inch skillet over medium heat until the mixture is hot and bubbling, stirring occasionally. 2. Add the spaghetti to the skillet and toss to coat. Season to taste.